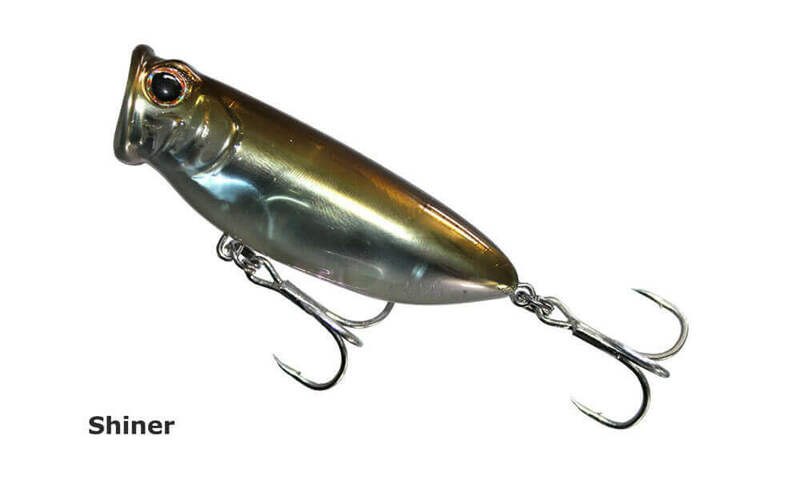 The Fish Inc Fly Half, the baby brother of the Scrum Half, 80mm popper perfect for a variety of inshore salt water species but also great in freshwater. 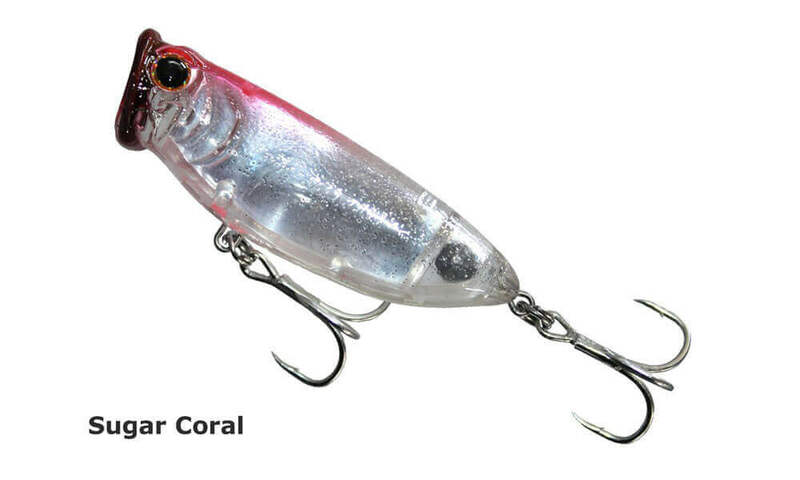 Unique belly design gives this popper the most insane 'walk the dog' action on a slow twitch, keeping it in the strike zone for longer, but also deadly on a fast straight retrieve for the hungry predators. Rigged with the best, Owner ST41 trebles. 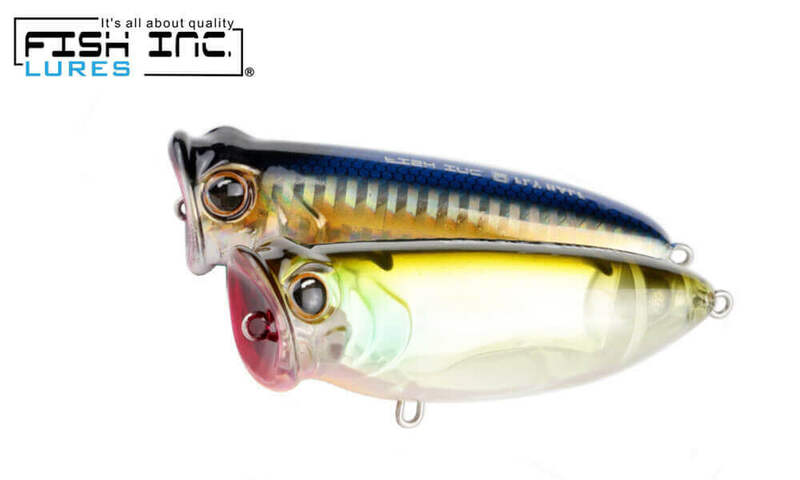 Finish quality and colours are to the normal top shelf standard produced by Fish Inc. Lures, with either a chrome look finish or internal foil design that will create flash, attract strikes and assist the fish when zeroing in on the surface presentation. A bite size profile that will appeal to a wide range of species like mangrove jack, barramundi, trevally, tailor and salmon, the Fly Half Popper will find a home in the arsenal of many Aussie anglers. 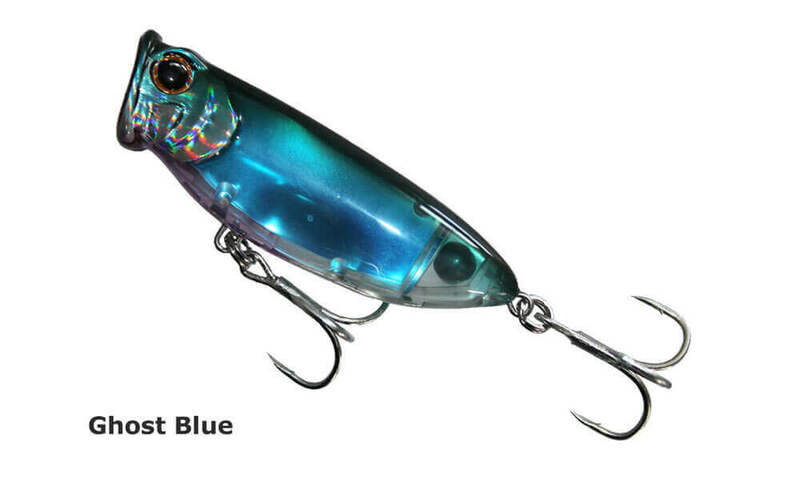 The Fly Half is available in 8 colours, including Blue Ghost, Tidal Form, Bronze Sardine and Sugar Coral. 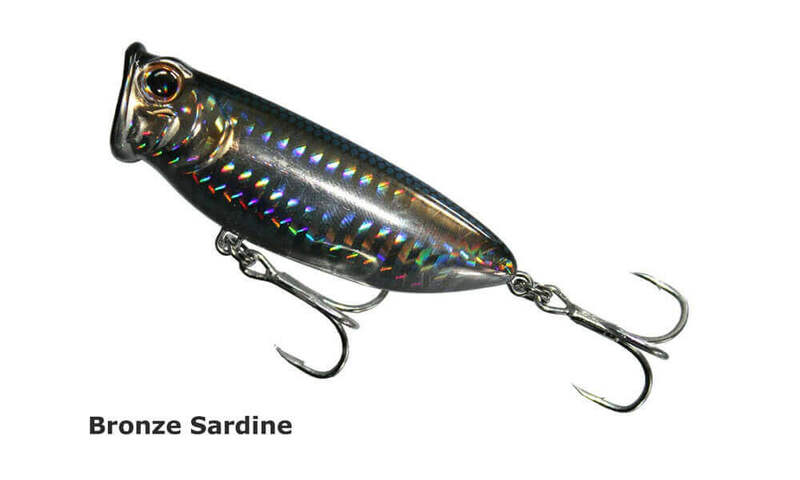 In terms of excitement, surface fishing with poppers is right up there for most anglers. 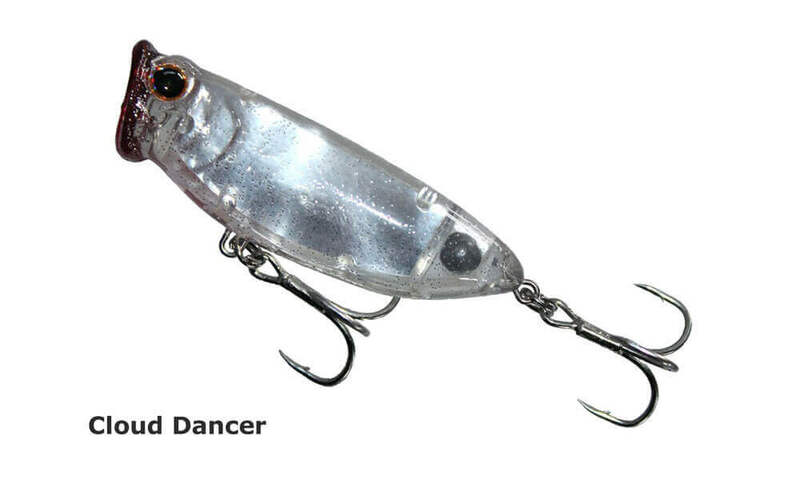 One of the best tools for the job is the Fish Inc Lures Fly Half Popper. 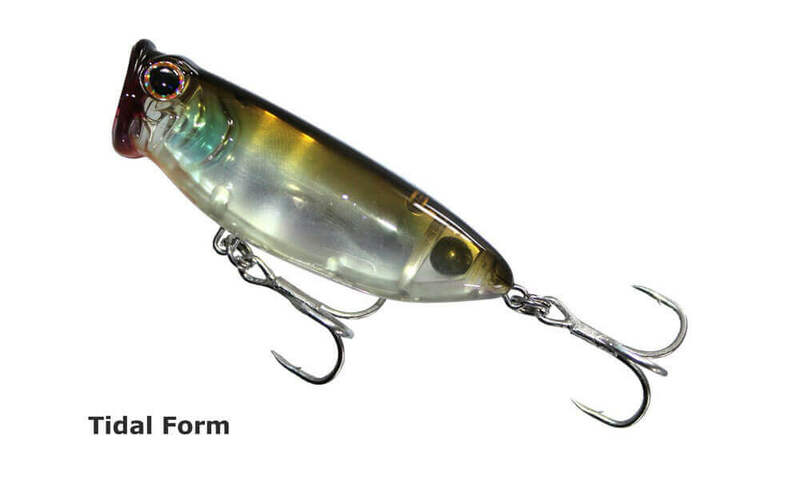 At a compact 80mm in length, it lends itself too attracting a wide variety of topwater feeders in either fresh or saltwater. Slow crawls and walk-the-dog actions are easy to impart, while large rips produce a noisy bloop that displaces plenty of water. With 16g of weight it casts with ease and pushes plenty of water on the chug, the deep cupped face pushing spray in all directions. 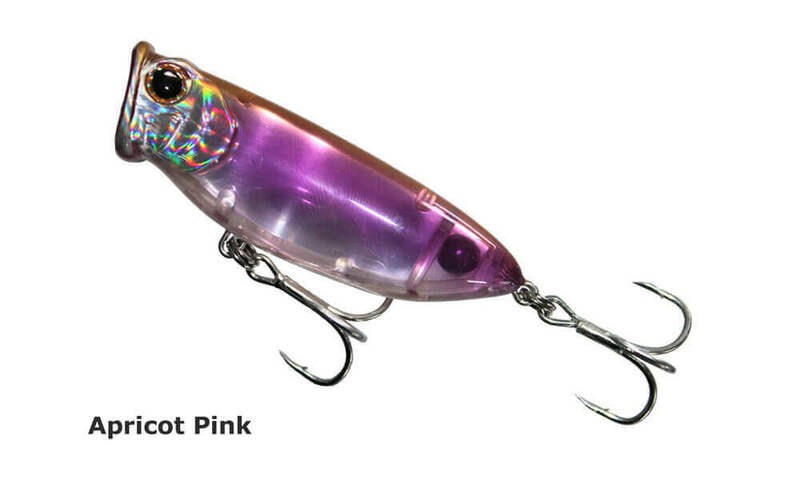 Internal weights add an attractive clik when moved, tough ABS construction and heavy duty Owner trebles complete the package, creating a popping lure that is sure to attract plenty of attention when a surface bite is on. Finished with HD owner trebles, and available in 8 brilliant finishes, the Fly Half is ready to hit the surface and make some noise.